Below is the text of my speech presented at the January 30, 2013 St. Louis South County Toastmasters meeting. Anyone remember this 1972 song by American pop singer, Johnny Nash, I Can See Clearly Now ? you can see all obstacles in your way. Tonight, I want to help you to see clearly. 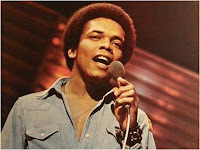 Like the Johnny Nash song, I want to help you see clearly past a big obstacle that is in your way. Weather is the atmospheric conditions at a certain place at a certain point in time. Weather is short term. It is observed in minutes, hours, days, or weeks. Weather is determining if it is going to be raining tomorrow when you drive to work in St. Louis. Climate is the average conditions expected at a specific place at a given time. Climate is long term. It is determined over months, years, decades, or longer. Climate is more than likely it is going to be snowing if you visit Mt. Rainer between the months of September to June. Understanding the difference between weather vs. climate is vital because so many people are confused. Unlike, Johnny Nash, they cannot see clearly now. They have the wool pulled over their eyes. Here is the answer, my friends. Think of weather as the roll of the dice. Is it going to be sunny, snowing or raining tomorrow? 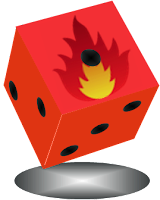 Climate is determining which casino gives you the best chance to win when you play with their dice. Weather is determined by real-time measurements of temperature, wind speed and direction, humidity, rain fall amount, could cover, etc. Climate is determined by compiled weather statistics over a 30 year period. The weather today has nothing to do climate change. Or does it? Over 97% of climate scientists, the Weather Channel, the American Meteorological Society, and the National Weather service clearly think climate change is impacting our weather right now. Even more, every major scientific institution in the world affirms that climate change is real, caused by humans, and it’s impacting or weather right NOW. When we start our cars or turn on our lights, we are burning oil, gas, and coal. When we burn these fuels, we are releasing carbon dioxide, which is stinking up our planet. 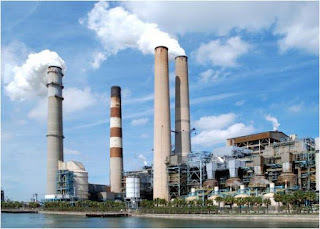 Currently, carbon dioxide emissions are roughly 36.7 billion, with a B, metric tons a year or 90 million metric tons a day. Carbon dioxide traps the earth’s heat like a blanket. Since the beginning of the industrial revolution, humans have increased the amount of carbon dioxide in the atmosphere by over 30%. As a result, since 1880 the average temperature of the planet has gone up about 1.5 degrees Fahrenheit or .8 degrees Celsius. 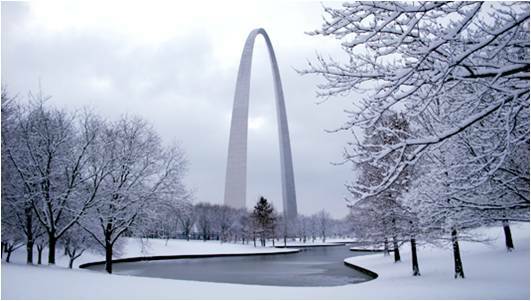 A global increase 1.5 Fahrenheit over the past 130 years sounds laughable when the temperatures in St. Louis can vary over 20 degrees in one day. 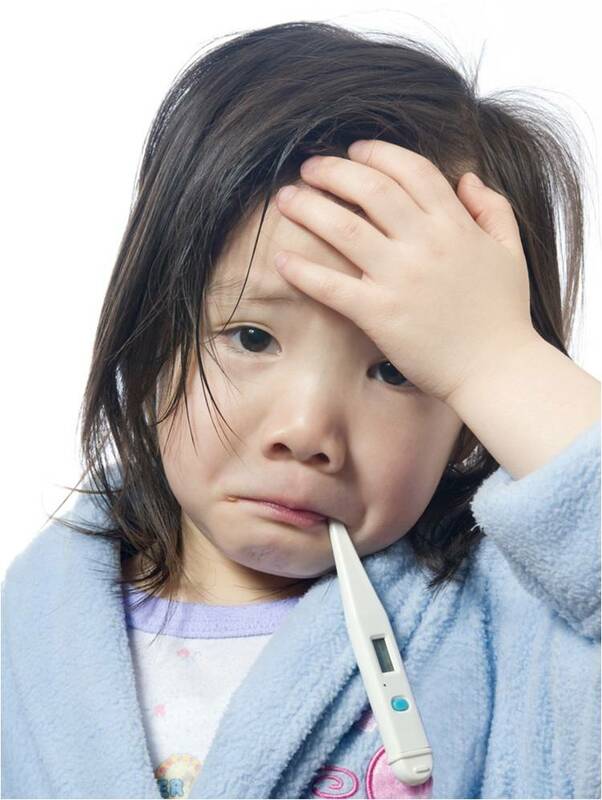 However, 1.5 degree rise in body temperature from 98.6 degrees to 100 degrees, you would feel very sick. 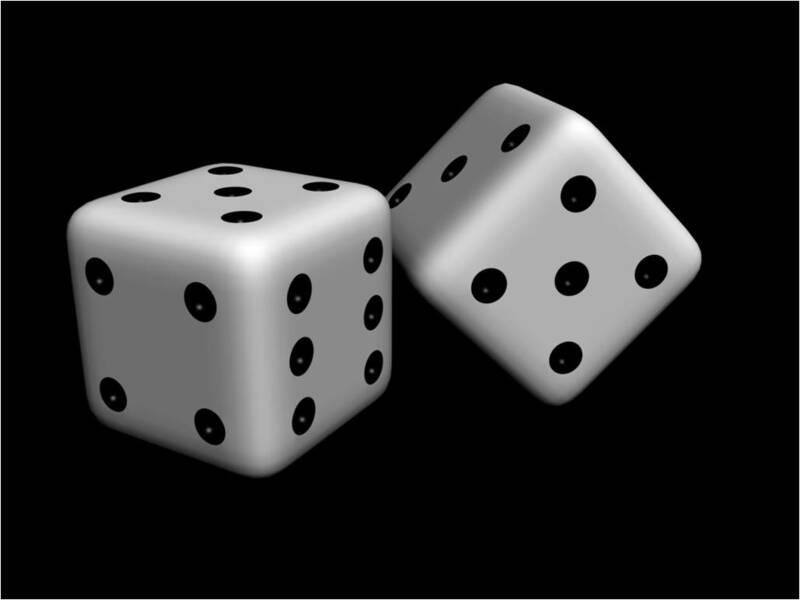 When casinos or individual gamblers tamper with dice so it will favor certain numbers, it is called ‘loading the dice.’ With climate change, scientists think we are ‘loading the climate dice.’ By adding lots of carbon dioxide into the atmosphere, we are causing the climate to favor certain weather patterns. Here are some pie charts illustrating this. What it shows is that our record low and high temperatures in the 1950s were equal. However, there has been a shift that by 2009, record high temperatures were outnumbered record low temperatures 56% to 44%. In 2010, the ratio was 70% record highs, 30% record lows. 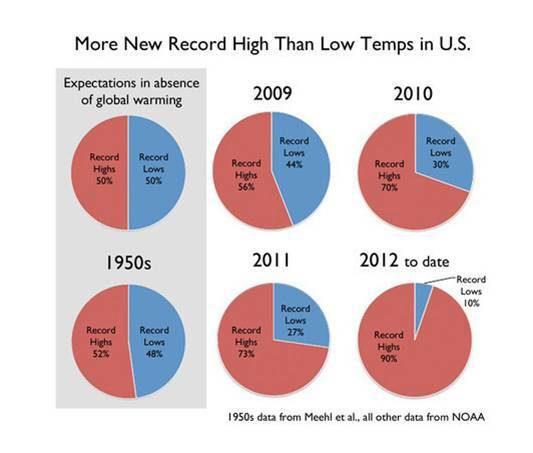 2011, 73% record highs to 27% record lows. 2012, the worst yet: 90% record highs to 10% record lows. Dr. James Hansen, climate scientist from NASA, explains it with these climate dice. In a normal climate, if you were rolling the weather dice, you could expect two sides to produce colder than normal weather, two sides to produce normal weather, and two sides to produce hotter than normal weather. 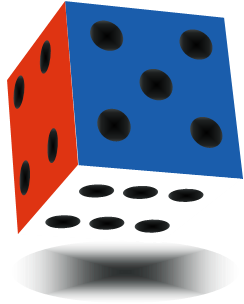 What we have done with climate change is to ‘load the dice’ so that now we have just one side with cooler than normal weather and one side with normal weather. Alarmingly, we now have three sides with warmer than normal and one side that is extremely hot. Hopefully, I helped you see more clearly today. First, you now know difference between weather and climate. Weather is what is happening right now. Climate is the average weather over a period of at least 30 years. Climate is where you pick your vacation (Florida vs. Colorado). Second, if it is snowing outside that is the weather not climate change. Finally, climate change is actually making it less likely to cold and snow today. This entry was posted in Uncategorized on January 31, 2013 by bettling. Love to learn about wild animals? Then you should visit the Wildlife Rescue Special Exhibit at the St. Louis Science Center. It is a temporary traveling exhibit that will be there until March 3, 2013. I have worked at this exhibit since October 24, 2012, a few weeks after it debuted at the St. Louis Science Center. This exhibit is designed to be fun, hands-on and educational all at the same time. It is geared for all age groups, so please bring your kids to see this. The exhibit focuses on the success stories 30 animals, such as the Giant Panda, California Condor, Lake Sturgeon, Whooping Cranes, American Whooping Cranes, Panamanian Golden Frog, Black-Footed-Ferret, etc. Kids and their parents love the hands on interaction of the exhibit, such as using an arcade game puppet to try to feed a mechanical California Condor chick, a device comparing your grip with an orangutan, a scale that compares your weight with a giant panda, etc. Even more, you will enjoy the interactive quizzes testing your knowledge of elephant behavior and saving wildlife from oil spills, forest fires, and floods. To learn about the rescue of whooping cranes, there is a full scale model of a “trike airplane” with a large screen in front it. Trikes are ultra light planes that look and fly like hand gliders. You sit inside the plane and feel like you are flying to teach immature Whooping Cranes how to migrate from Maryland to Florida in the autumn. This video is narrated by Joe Duff, the lead pilot and co-founder of Operation Migration. The pilot and the plane are disguised to look like a mammoth Whooping Crane in order to entice the juveniles to learn the eastern migration route. I frequently watch the video with envy wanting to fly a trike, while teaching the majestic Whooping Cranes to migrate long distances. The exhibit provides amazing statistics on the recovery of animals that came within a whisker of going extinct. For instance, Whooping Cranes had only 15 individuals left in 1940. Thanks to the efforts such as volunteers like Joe Duff, conservation groups, the Endangered Species Act, and the Fish & Wildlife Service, around 600 Whooping Cranes now exist. Even more remarkable, The Chatham Island Black Robin had only one breeding female left named, Old Blue in 1980. To save this species, the New Zealand government began to breed Old Blue with a male robin, Old Yellow. This pair produced 11 chicks; more than 250 of their descendants now live in the New Zealand wild. located in Glen Canyon, Arizona. They were sitting 470 feet about the Colorado River. An exhibit animal that I have seen personally in the wild: The California Condor. This species had only 25 birds left in the 1980s. Fortunately, the last remaining birds were captured, raised in captivity, and now many released back into the wild. Because of those efforts, around 350 birds can be seen in the wild. I was fortunate to see California Condors when I traveled to the Grand Canyon in 2009 and 2010. They are huge with their 10 wing span. As a matter of fact, they have the largest wing span of any bird in North America. They were easily to spot with the large identification research numbers clipped on their wings. You can also readily see them by their massive size and the large white patches on the underside of their wings that are seen when they are in flight. When I lived in Florida for 16 years, I also saw Whooping Cranes and Burrowing Owls, both of which have displays in the exhibit. When you visit this exhibit, don’t skip the seven minute inspiring video, “Return to the Wild,” shown on a large screen theater inside the exhibit. It talks about the fight for survival of the Orangutans of the rain forests of Borneo and the elephants of the African savannas. Elephants struggle to survive with the poaching of their ivory tusks and humans encroaching into their habitat. 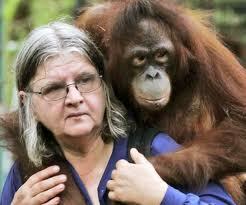 Clearing rain forests to create palm oil plantations are threatening the survival of orangutans. Fortunately, both species have human champions who are fighting for their survival. On the island of Borneo, Indonesia, Dr. Birute Galdikas runs The Orangutan International Care Center, which cares for around 330 orphaned orangutans. 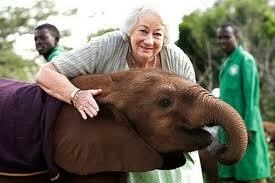 Dame Daphne Sheldrick runs The David Sheldrick Elephant Orphanage at the edge of Nairobi, Kenya, which cares for dozens of orphaned elephants. The video shares failures and success stories of raising these orphaned and often traumatized animals in captivity and releasing them back into the wild. What really struck me was the ending statements of both of these heroes for our planet. I have often heard that when we talk about saving the planet from climate change and pollution, we are really talking about saving us, humans. I disagree. If we just save us and not our fellow endangered wildlife, future generations will never forgive us. Our fellow animals are so unique, sacred, fun, and awe inspiring that to not save them will leave future generations deeply impoverished and sad. Yes, saving the planet also means saving the precious species that share the planet with us. Even more, this exhibit shows you can have success bringing animals back from the edge of extinction. It provides us hope and inspiration while challenging us to listen to our better angels. Yes, this is the mission for the rest of our lives. Each and every one of us is called to save the planet from climate change, pollution, and habitat loss. If we accomplish this mission (and we can! 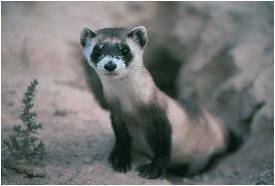 ), the elephants, orangutans, Whooping Cranes, California Condors, black footed ferrets and so many other endangered animals will thank us. Not with words, but their presence on this planet will continue to touch our hearts. This entry was posted in Uncategorized on January 25, 2013 by bettling. At the time, I was in DC visiting a friend and sightseeing after I just attended the National Park Service & NASA Earth-to-Sky Communicating Climate Change conference in Shepardstown, West Virginia. I left the NASA conference very jazzed about wanting to communicate more about climate change, but I was unsure what to do for the winter or my life. I knew I was headed back to St. Louis, but I did not know where I would be working or what I do be doing. For five years now, I have been on a journey to be a climate change communicator. August 24, 2011, I had put a message on Facebook about wanting to go to grad school to study climate change communications. I was looking for advice for studying for the GRE. I worked Sundae and her husband, Rob, in the Everglades for many years. They are very kind people. If Sundae was recommending Tom, then he must be a great guy also. I was very intrigued also when she mentioned he loves to talk about climate change. I immediately e-mailed Tom and we exchanged messages, promising to chat more at some point. I looked at his website also, Climatebites.org. The style and message of the website really amazed me. The focus of the website is to provide metaphors, soundbites, quotes, humor, and stories for people who want to talk about climate change and wants their message to stick. I immediately recommended the website to friends deeply interested in climate change. I noticed Tom lived in the DC area. I knew I would be visiting there in October. When I arrived in DC, we exchanged e-mails and he suggested meeting for lunch at the Indian Ocean. Upon meeting Tom, I immediately felt like I had made a friend for life. It felt like I had met a kindred spirit. We exchanged so many ideas about climate change. We both agreed that humor is vital when communicating about climate change. I showed him my website, Climatechangecomedian.com and my climate change evening program. He showed me the humor section of Climatebites, which has a video link of his favorite stand-up economist, Yoram Bauman and comedian David Crowe’s hilarious Gasoholics Anonymous. He challenged me on the spot to contribute writings to Climatebites. Gulp. I had very limited experience with writing. However, it did seem like it could be fun. 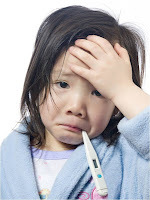 It took me a couple weeks, but I did post my first bite on Climatebites on October 14, 2011, Would you argue with your doctor over a heart condition? I have steadily written bites ever since then. I am now closing in on 90 bites. 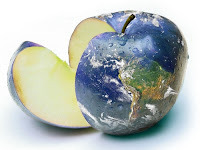 Some of my Climatebites have now been re-posted on other websites, such as boomerwarrior.com, climatemama.com, and elephantjournal.com. Tom encouraged me to write my own blog again. I created my blog on February 1, 2011, and I quickly wrote a second entry the next day. However, my blog sat idle for nine months 10 months before Tom challenged me to write my own blog again. My own blog led me to have an article published in the Yale Forum on Climate Change and the Media on April 26, 2012. 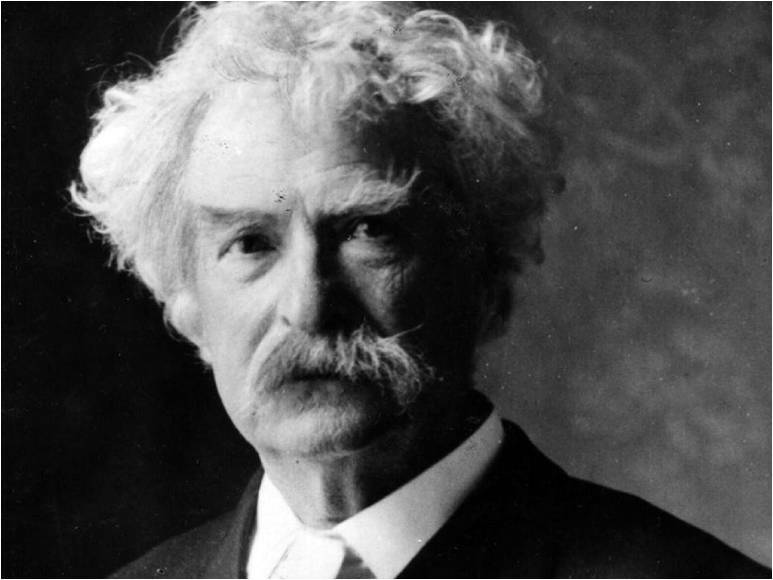 One of my blog posts was also re-posted on Harriet Shugarman’s Climatemama.com website. This posting you are currently reading is now my 32nd blog entry. Tom challenged me to attend the American Geophysical Union (AGU) Conference in San Francisco, California last December. He enticed me to attend by promising I would meet so many of the top climate scientists and communicators. Man, his sales pitch turned out to be an understatement. At AGU, I got to meet climatesight.org author Kate Alexander, Scott Mandia, Michael Mann, Richard Alley, James Hansen, Naomi Oreskes, Richard Somerville, Ben Santer, Ed Maibach, Susan Hassol, John Cook, Peter Sinclair, Gavin Schmidt, Science comedian Brian Malow, and so many others. While attending AGU, I was invited to attend a Union of Concerned Scientists cocktail party where I met Dr. +Peter Joseph. I mentioned my interest in climate change to him and we struck up a good friendship. Peter lobbied hard on my behalf with Al Gore’s organization, The Climate Reality Project, so I could attend the Climate Reality Training in San Francisco in August, 2012. As a trained Climate Reality presenter, I presented along with local St. Louis Climate Reality Presenters, Larry Lazar and Lucas Sabalka, at the Ethical Society of St. Louis on December 6, 2012. I am not sure what adventure 2013 has in store for me. I know I will be speaking at the Piasa Palisades Sierra Club meeting in Alton, Illinois on February 11, 2013 about climate change. I will be giving a Toastmasters speech on climate change on Wednesday, January 30th. 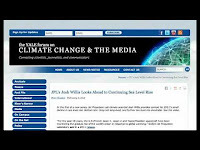 I will be teaching a continuing adult education class on Climate Change Communications for St. Louis Community College on February 23, 2013. I am also now deeply involved with organizing for the Citizens Climate Lobby (CCL) with the St. Louis group. I also started a CCL group in southern Oregon while I was working at Crater Lake National Park last summer. I also hope to return to Crater Lake, Oregon for the summer. I work there as a naturalist ranger narrating the boat tours, trolley tours, guided hikes, geology talks, etc. 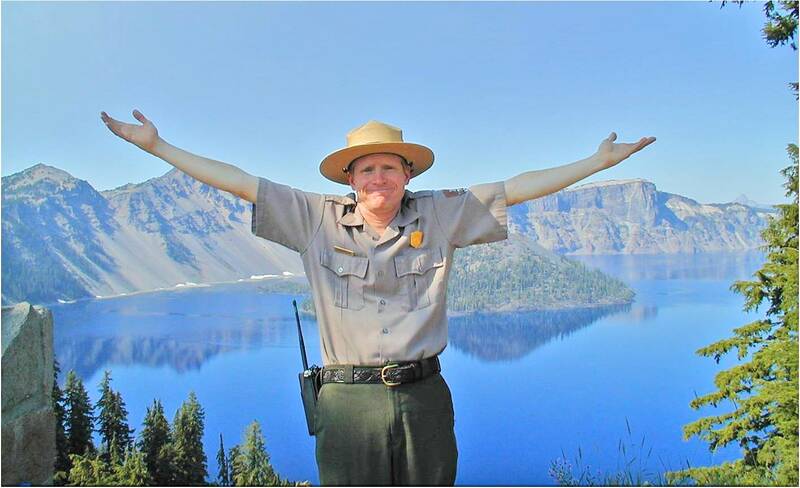 My evening campfire program for the past two summers has been on the impact of climate change on Crater Lake. Beyond that, it is a mystery how I will be following my passion with climate change in 2013 and upcoming years. However, I will still never forget all the encouragement and advice from Tom Smerling. Our mutual mantra from when we ended our lunch meeting at the Indian Ocean Restaurant in Washington, DC on October 5, 2011 is always bouncing around in my head. Even more, Thank you Sundae Horn for introducing me to Tom Smerling. This entry was posted in Uncategorized on January 11, 2013 by bettling.